Want to see what many of us at WY3P are Interested in? Follow the links for some of our other Contester's sites and see what they are up to! 73 & see you in the pileups, OM. Frank Donovan has the best Multi/Operator Multi/Transmitter station we have ever operated from. Frank is quite generous with his time and information and has helped us build our own (much more modest) stations. Bob Morris, W4MYA is a world class contester and a great guy overall. At one time he had an 11 position Multi/Operator Multi/Transmitter contest station that was where WX3B learned the ropes about competitive multi-operator contesting. Our hat is off to folks like Bob that were willing to train new contesters and generate enthusiasm within this great radio sport. John Evans, N3HBX is an avid contester who started with a competitive station at his primary home in Clarksburg, MD. While his station was excellent by most standards, he wanted to build a super-station that would compete with everyone, and he purchased a large plot of land with a nice house in rural Poolesville, MD. 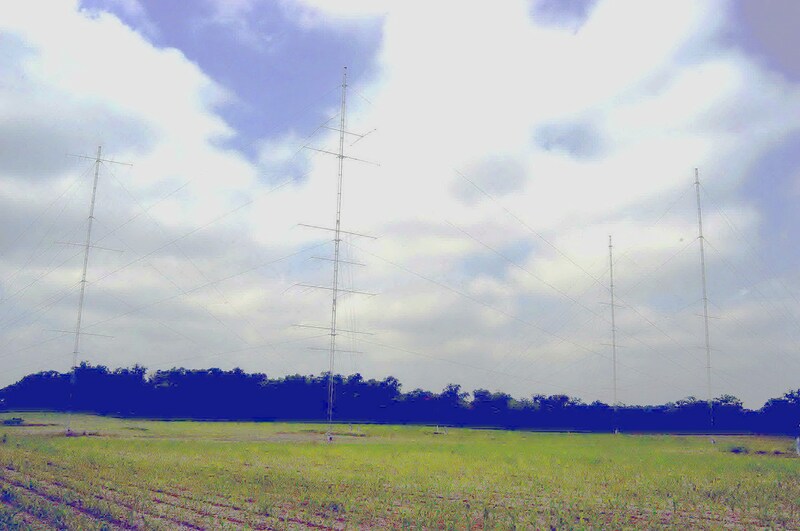 4 x 190 foot towers were constructed with very optimized high performance monobander stacks, wires, quads, etc. and at the time of this writing, nobody has a better signal than John. John is also willing to train new guest operators, and has generously opened the door to BOTH of his contest stations over the years. It is interesting to note that N3HBX/Poolesville is one of the busiest contest stations in service - just ask John to see his contest calendar! Tim has done great things for contesting and ham radio in general. He has a World Class Multi/Multi station (and team) and regularly wins the "big" DX contests. He helps keep a great game going between W3LPL and KC1XX. Tim has also spent years planning and organizing many of Dayton Hamvention's more interesting forums. In addition to his world class station and operators, Matt has his own tower company. He takes huge tower and antenna projects and makes them seen simple! David's passion lies in DX-Peditions and he's been on quite a few great ones! David is a good friend and has built a very impressive web site for someone who doesn't design sites for a living! Paul built the best multi/two station and team in the USA, won all the contests, and retired to his other passion: Drag Racing! Paul's web site is still available (09/23/08) and is an excellent resource for those that want to design a great station. Dan has influenced and helped many of us over the years, and can often be found DXing in the mornings and evenings. Just ask him why his amplifier switch is wired to his radio on/off switch!